Let's face it every body wants to be a millionaire. I mean they have made a successful show on that, "Who wants to be a Millionaire?". So, Do you want to know how to be a millionaire? This calculator will show you how! 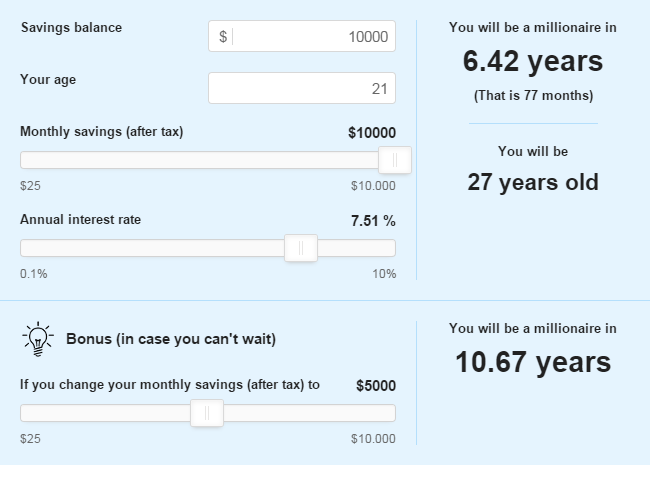 It tells you how many years it's gonna take for you if you consistently save up some money every month. 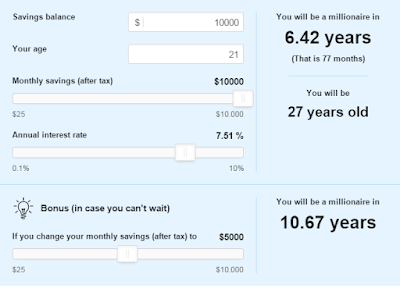 But, On a much serious note, you can play around with the sliders and get a sense of how much you need to invest. Although One million dollars is not something we expect to take away home at the end of the day, but its good to know there's a way! As, always, Have a happy reading and Stay Awesome!